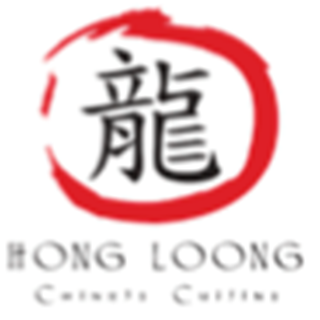 Traditional Chinese ambience with a twist of contemporary elegance, Hong Loong is a gallery of art offering Chinese cuisine, authentic tea rituals and elegant Asian décor. Trumping an extensive selection of fare, guests can try a selection of some of the spiciest Chinese dishes from the dedicated ‘Spicy’ menu, or allow the tea sommelier to pair a tea with their dish in a traditional and inspiring ceremonial approach. Little China in Dubai. Perfect. Belle soirée, très bon repas, personnel aux petits soins. We dined here as part of our hotel package and really enjoyed the food and service was excellent! This is not authentic Chinese. Everything was excellent, service, staff, food, cleanliness. Absolutely perfect dining experience from start to finish. Faultless! Ari was fantastic who served us on both occasions, so polite and professional, thank you! Service and food quality were excellent as always. A visit to a Chinese restaurant is a bit of a family ritual when we’re at home and we go about once a month. So when we’re on holiday a trip to a Chinese restaurant is always near the top of the wanted list for our family of four and Dubai has plenty that come highly recommended. We went to the Hong Loon at Sofitel The Palm and what a good choice it proved to be. We were served a range of starters to share as well as a delightful bowl of soup each. It was superb. There’s a wide range of main courses that you’d expect to see in a high class Oriental restaurant, but all of them seemingly delivered with an added twist of spice and zest that really made for a memorable food experience. The stir fry beef fillet was almost legendary and the rest of the family were equally enthralled by their own dishes. Of course we also over indulged with the dessert menu as well but we’re on holiday and you only live once. The decor at the restaurant is distinctive, authentic and tasteful and the staff were absolutely faultless. They really did go out of their way to make our evening a real night to remember. If you like Chinese food, I guarantee that you’ll fall in love with this place. Nice restaurant overlooking the sea. Timed it right to see a beautiful sunset. Service was quick with the waitress explaining the dine around option as we were staying in the hotel. We had a sharing platter of appetisers and starters of veg spring rolls, seafood in batter,crispy chicken and beef balls. There was a seafood soup but as I don’t eat it the waitress arranged for me to have a sweet corn one instead. Both delicious. For the main we opted for beef fillet in black bean sauce and chilli chicken in Szechuan sauce. Be warned the chicken is Very hot and I couldn’t eat much of it. The beef fillet was tender and very tasty.For dessert we opted for the battered bananas of which we had 5 each and were cooked to perfection. Sorry that this is a recurring theme but the drinks price, both soft and alcohol are excessive. If they were 40% less then the half board diners would definitely drink more than house water by the gallon. Food was brilliant, fresh, high quality and delivered by a great service team. One questionable element though was atmosphere - this is a difficult restaurant to get booked into but on our visit of jut over two hours occupancy was about 30%!!! I am Asian. I grew up with authentic Chinese cuisine in different styles, Sichuan, North Eastern Chinese, Cantonese, Shanghai, Taiwanese styles. You name it. This is by far the most expensive and yet the worst Chinese food I have ever had in my life! We ordered 4 dishes for a ridiculously $160USD price tag all together. It would have been fine if the food was somewhat Chinese. I mean, I expected to be kind of American Chinese, like PF Chang. But this is far worse than American Chinese food! We ordered a Gong Pao Chicken. But what came out really surprised me. The atmosphere was really dark, so I couldn't tell what it was. I just remember seeing a plate full of dark sauce. At first I thought maybe it was eggplant in garlic sauce, and that it was for another table. But NO! It was Gong Pao chicken!!! I could not believe it! I have never seen Gong Pao chicken in black sauce before. Honestly, this place seems to know how to cook in only two kinds of sauce: Sweet and sour sauce and Oyster sauce. And the dim sum? What a joke! We ordered chicken dumplings. But what came out was more like some factory-made dumplings, which they simply unwrap from the packaging and heated up in the microwave oven. They were hard and tasteless! If you do stay at the Sofitel, please don't waste your money with this restaurant. Starters were very nice and good selection however main courses were very disappointing. Not a great choice of mains for half board guests, a shame as service was very good. Great experience with excellent service and very good food! the staff was cold. can not listen to clients. very long waiting. Learn at the Moana Restaurant. there are real professionals. Hong Hong Restaurant I can not recommend.